Prisoners at Honouliuli and Camp Iroquois were paid and allowed a range of leisure activities, alcohol and cigarettes, according to Geneva Conventions (which did not sign.) At Camp Iroquois in Ewa Beach Japanese military POW might answer the phone and be taken to Honolulu to see movies and purchase phonograph records. 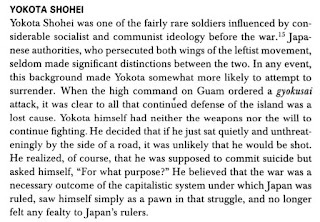 Because of the difference between Hawaii and the mainland, Hawaii Japanese were interned under the declaration of Martial Law, sometimes even for blackout violations. 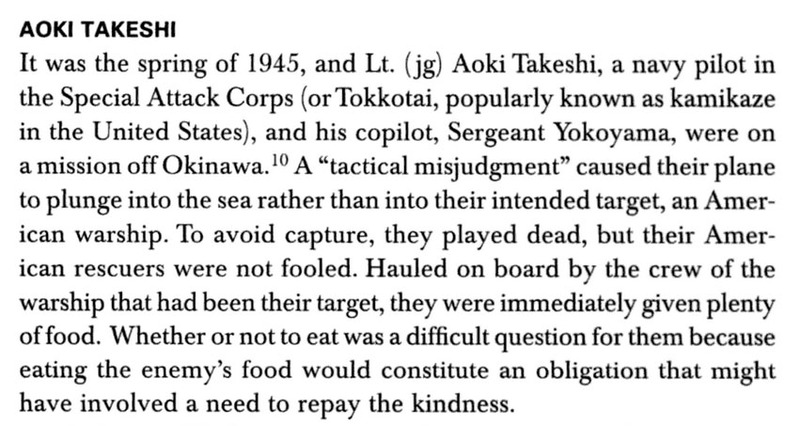 Somewhat ironically, Army guards were mostly African American and mainland Japanese American. 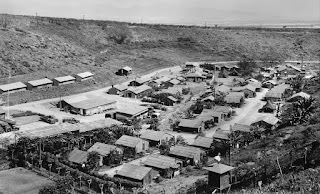 NPS National Register states that Honouliuli is distinctive as the only Hawaiian site remaining that was built exclusively as a World War II confinement camp. However Camp Iroquois also is in that category and the site remains largely undisturbed since 1946. 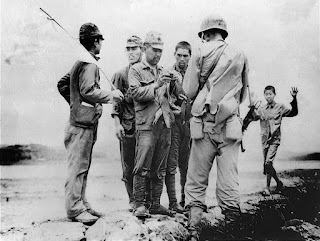 Most of the Honouliuli Camp POW were non combatant Korean laborers with others from Okinawa and Formosa, all pressed into Imperial Japanese worker units. Most Japanese POW were sent on to mainland camps or recruited into special projects like Camp Iroquois. Arnold Krammer, professor of history in Texas A & M University. FEW AMERICANS today recall that the nation maintained 425,000 enemy during the Second World War in prisoner-of-war camps from New York to California. 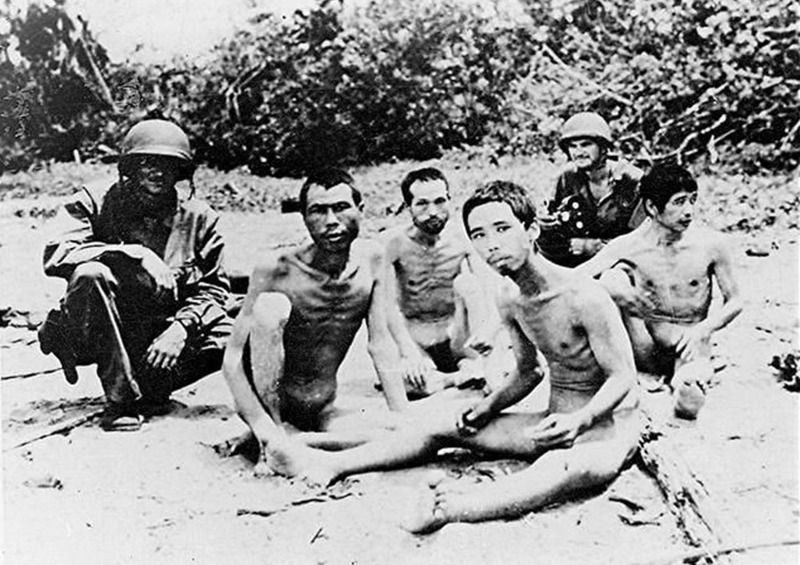 The majority of these captives were Germans, followed by Italians and Japanese. The incarceration of the 5,424 Japanese soldiers and sailors in the United States included Honouliuli (and Camp Iroquois) in Hawaii. Most captured involuntarily during the bloody battles of the South Pacific, tested the formidable ingenuity of the War Department. The very first prisoner of war captured by American forces was Japanese. Ensign Kazuo Sakamaki, the commander of a Japanese midget submarine which had participated in the attack on Pearl Harbor, abandoned his damaged craft and swam for shore. As he crawled up onto Waimanalo Beach on Oahu, he was captured by one of the nervous military patrols positioned to repel a feared full-scale invasion. Whenever possible, the permanent camps were located at or near existing military bases. Each camp averaged 2,500 prisoners, and adhered generally to the requirements of the Geneva Convention that the layout and food, sanitary, and health services be identical with that provided to American armed forces. 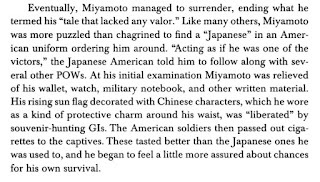 The average Japanese soldier was molded to prefer death to surrender. 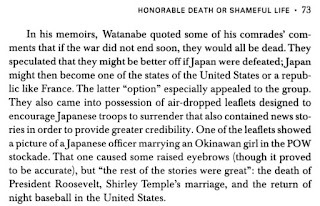 Moreover, the official Japanese Military Field Code commanded each Japanese soldier to remember that "rather than live and bear the shame of imprisonment by the enemy, he should die and avoid leaving a dishonorable name!" 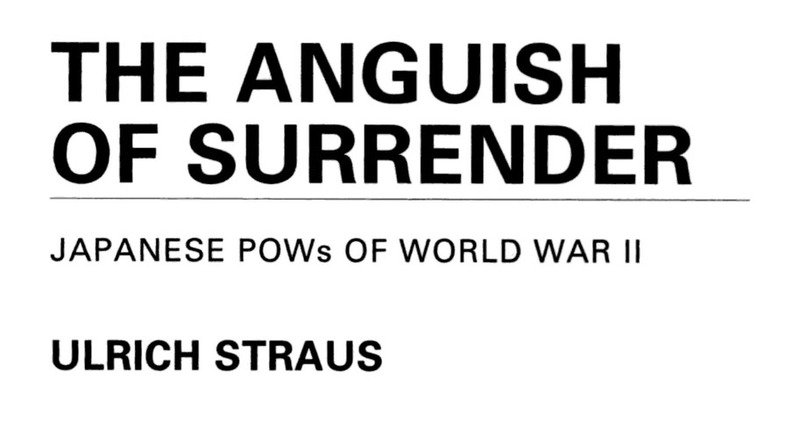 Capture by the enemy, even if wounded or unconscious and unable to move, was equated with irrevocable shame. 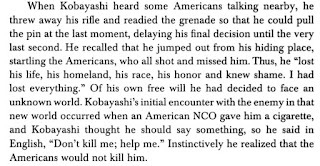 Japanese soldiers were directed to save the last round of ammunition for themselves or to charge the enemy in a suicidal assault. The Japanese prisoners who arrived in the U. S. were either brought in for special interrogation or because they were closer to the United States when captured than to the holding pens in Australia or New Zealand. Then, finally, came their first meals in America, and the prisoners were astonished at the quality and quantity of their food. Indeed, they found themselves better fed in captivity than in their own army. 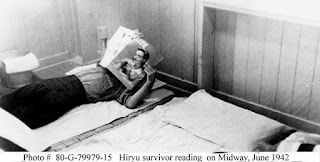 For the few days until their shipment to an interrogation center, the Japanese spent their time listening to the camp gramophone, playing cards and Mah-Jong, and whispering among them­ selves as they strove to understand the ulterior motives of their captors. 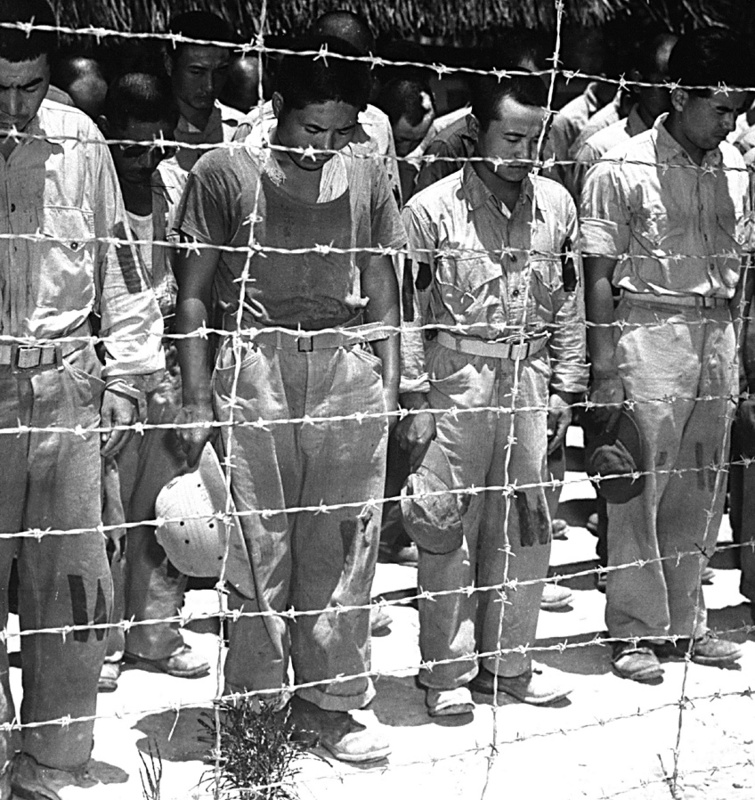 Since the main reason for the prisoners' shipment to the United States was for interrogation purposes, the confidence of the incoming POWs had to be won over. 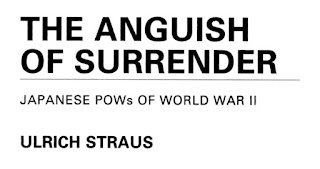 The task appeared formidable: the prisoners feared and despised their cap­tors, both militarily and culturally no less, in fact, than they were themselves hated in return. Moreover, the captives loathed themselves for their failure to die in combat. Yet army intelligence quickly detected an encouraging pattern among these seemingly overwhelming obstacles. 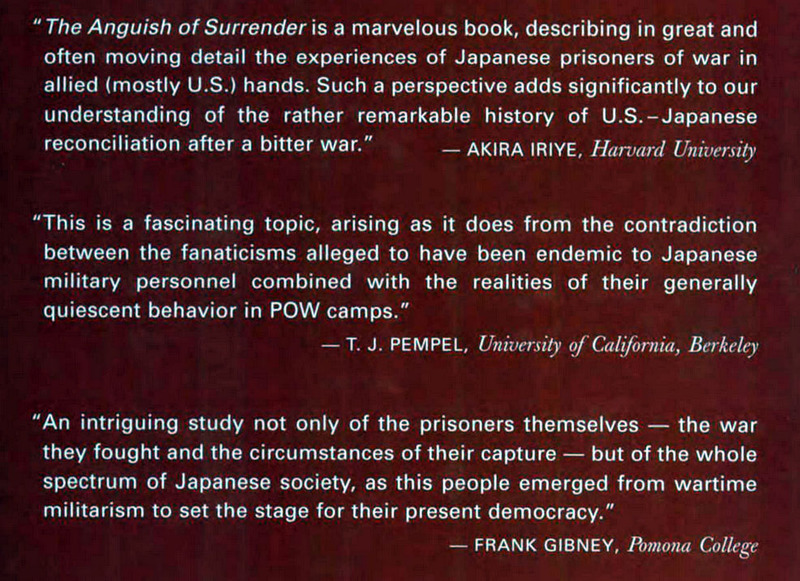 The POWs' psychological makeup evolved into distinct phases. 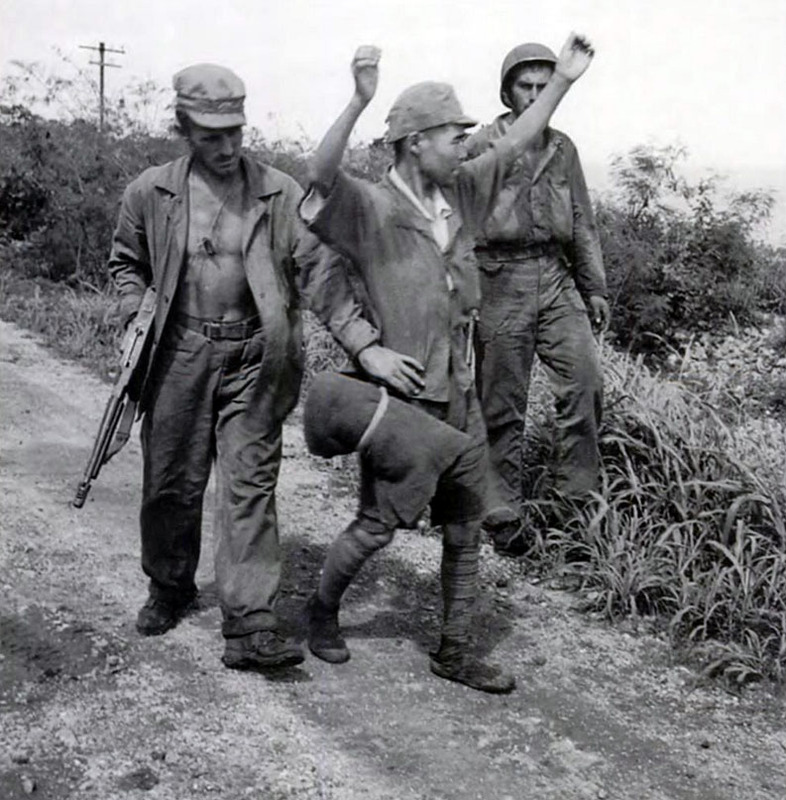 Immediately upon capture, and up to forty-eight hours after­ wards, the Japanese prisoners were of little value to the American interrogators. They were certain that they would be tortured and killed, and were either unresponsive or the information they offered was confused and unreliable. 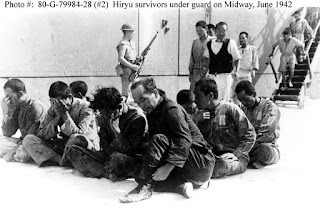 After several days, the army found that a second phase set in, as the prisoners realized that they were not to be tortured or in any way mistreated. This was the moment that the intelligence officers awaited; the prisoners' fear was changing to gratitude and they were anxious to reciprocate by talking freely. 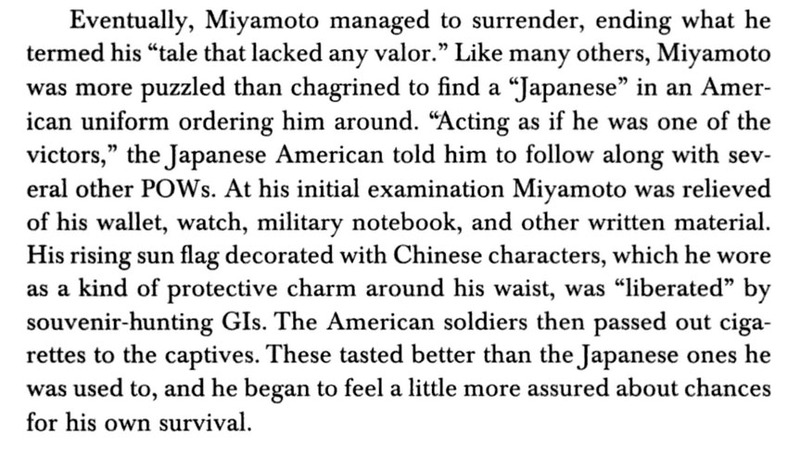 The interrogation of the Japanese prisoners taught intelligence officers several additional curious lessons. For example, no threat of physical violence or solitary confinement succeeded in extracting information from a prisoner as effectively as the simple threat of forwarding his name to his relatives in Japan. Another lesson was the captives' realization that they knew no rules of life which applied in this situation. They were dishonored and their life as Japanese had ended. When their earnest requests to be allowed to kill themselves were denied, many discarded their traditional views and became model prisoners. Each camp was required by the Geneva Convention to maintain a canteen where, during certain hours, the prisoners could purchase toothpaste, shoe polish, handkerchiefs, candy, crackers, cigarettes, soft drinks, and locally grown produce at the prevailing market price. In some camps even beer and light wines were permitted at the prisoner's own expense. 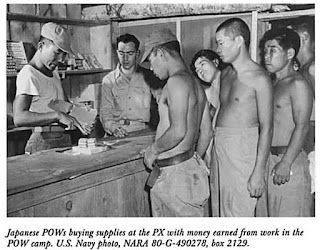 Each enlisted POW received eighty cents a day to spend at the camp canteen. 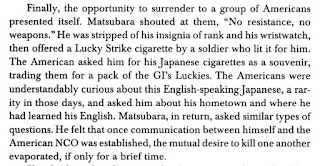 A trifling sum by today's standards, perhaps, but during the war years it would buy eight packs of cigarettes or eight bottles of beer. Officers were paid a graduated salary based on rank-lieutenants, $15 per month; captains, $25. The Japanese prisoners, no less than the Germans, Italians, and Koreans, received from the YMCA such items as their stationery, musical instruments, library books, sports equipment, phonograph records, hobby materials, handicraft tools, and religious items of all sorts. The capture of the Koreans gave them an opportunity to assert their national independence. Visiting State Department, Red Cross, and YMCA officials were always pleasantly surprised to learn that the Koreans generally requested nothing more than Christian Bibles and cloth to make Korean flags-­ requests that the authorities were understandably happy to grant. 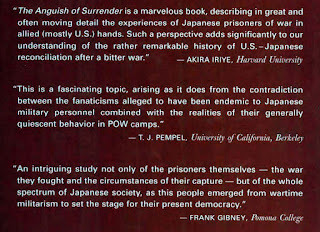 There were major divisions and animosities within the Japanese prisoner community itself. The most persistent and difficult problem was the rivalry between army and navy personnel. 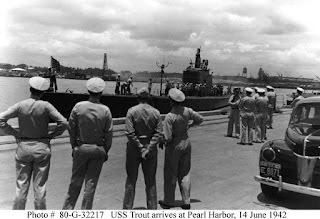 While such rivalries are common to all armed services, they were especially prevalent among captured survivors of a society based on the veneration of the warrior, and exacerbated by the need to blame someone for their nation's military defeats. Naval prisoners far outnumbered those from the army, and each incoming group of Japanese sailors from the battles of Midway or the Coral Sea increased the preponderance of naval prisoners over their increasingly hostile army colleagues. Augmenting these pursuits was a heavy dose of American music, newspapers, movies and cartoons, and such recreational activities as softball, table tennis, and baseball. The prisoners were also encouraged to attend Sunday religious services in an effort "to replace their traditional Emperor-worship with a more positive philosophy, and to show them the close relationship between democracy and Christian principles." 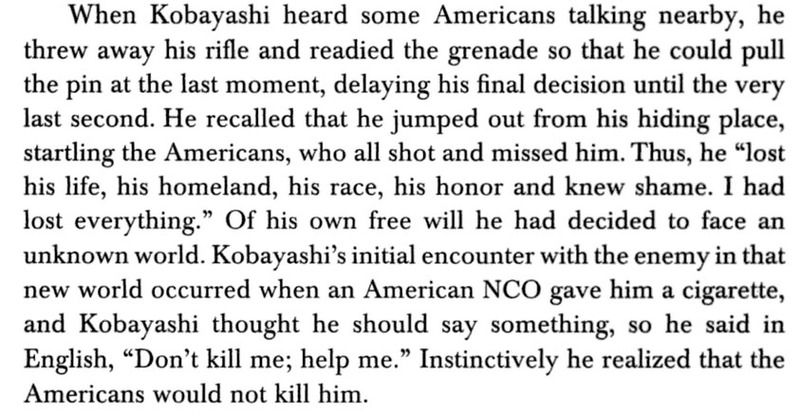 No sooner was the war over than Washington began repatriating Japanese POWs as promptly as shipping permitted. Nearly all were back in Japan by the end of 1946. POW Japanese laborers hear the voice of the Emperor of Japan accepting surrender terms. According to historic context studies for POW camps usually five officers were assigned including the camp commander, three camp officers, one supply and mess officer, one POW company commander, and one medical officer (if available). For a camp holding 500 POWs, the number increased to a total of 300 officers and men. If this ratio held at Honouliuli, one would expect over 1,000 guards and administrators for a camp of 3,000 POWs. Based on the number of barracks in the staff housing area, however, there were probably no more than 300 officers and guards. Author Gwenfread Allen * provides a figure of 16,943 total prisoners of war and internees in Hawaii. 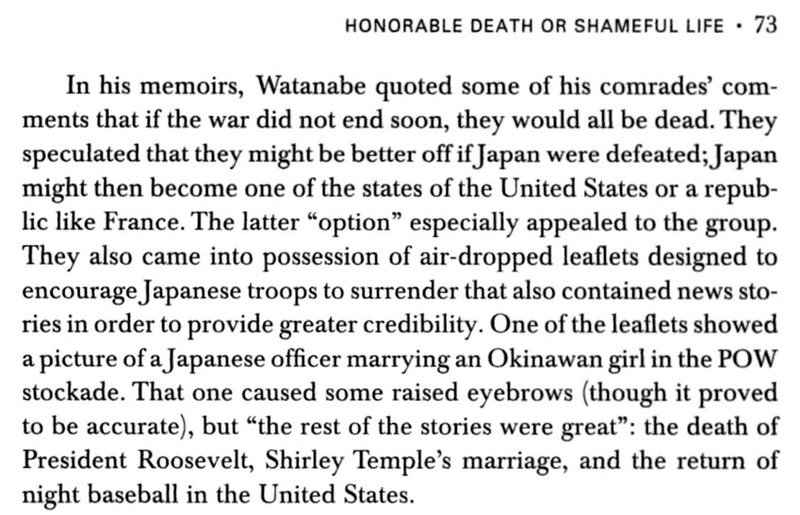 Like Straus, she also notes that of the combat troops who landed in Hawaii, most were sent on to mainland POW camps. She lists 4,841 Italian prisoners, 2,643 Koreans, 320 Japanese, 23 Formosans, 7 Indochinese, and 3 Chinese in Hawaiian POW camps at the end of the war. The remaining group comprised predominantly German Americans, though there were also Americans and aliens of Italian, Irish, Russian, and Scandinavian descent. 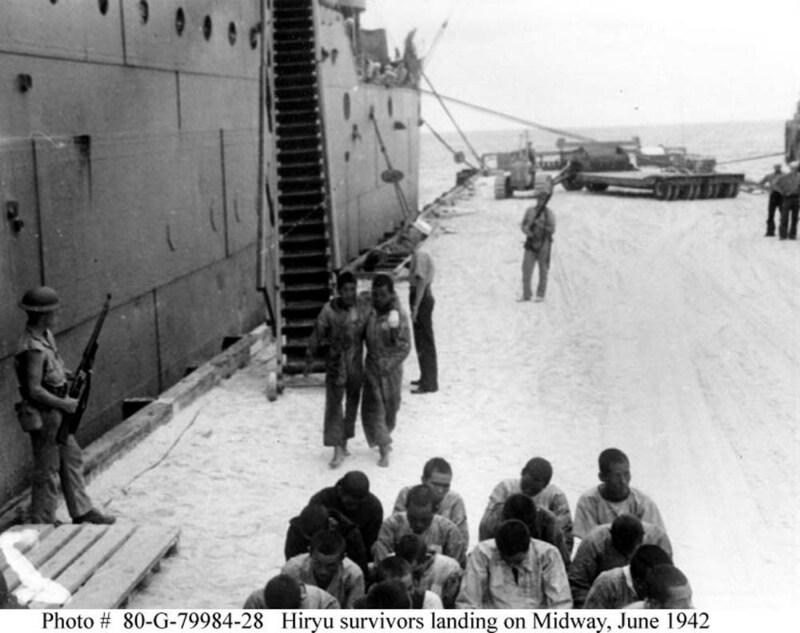 Honouliuli also held women and children who were Japanese civilians displaced from the Pacific. 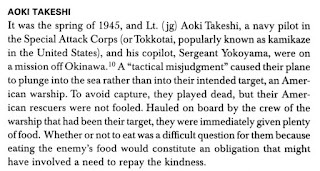 Allen lists no Okinawans in the counts, but points out that they were routinely counted as Japanese, even though neither they nor the Japanese considered them so. 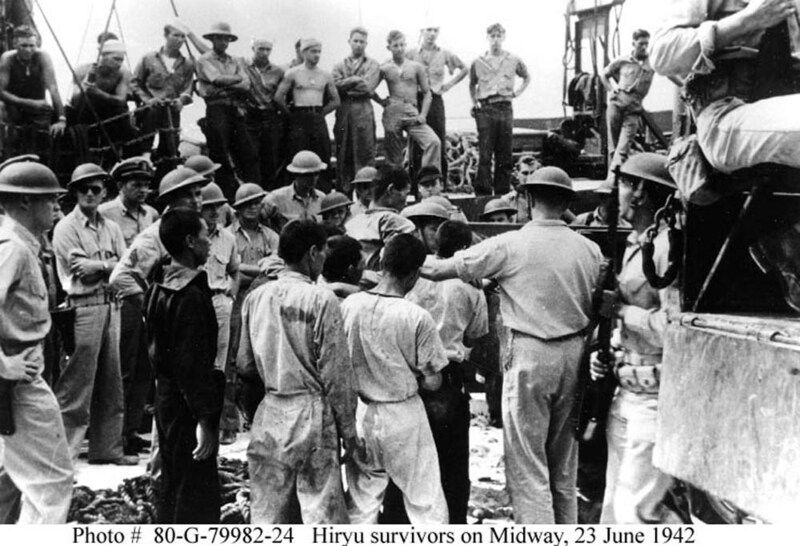 Straus notes that the last Japanese POWs to arrive in Hawaii were from the battle of Iwo Jima. A select few of these went to Iroquois Point (mentioned only once in the nomination), while others may have been sent to Honouliuli. 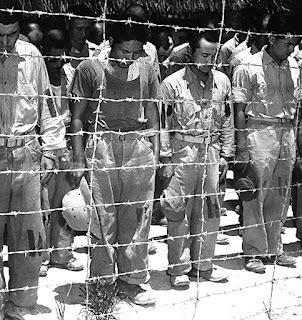 Hawaii's largest and longest operating internment camp, opened in 1943 and closed in 1946. The site was designated Honouliuli National Monument by Presidential Proclamation on February 19, 2015 by President Barack Obama. Somewhat ironically, The Honouliuli prisoner of war compounds were guarded by an African American infantry unit as well as units of Japanese Americans from the mainland. Archival and archaeological evidence indicates that Honouliuli was expanded at some point in its occupation, and historic photographs show a sea of the pyramidal tents that housed POWs. It is possible that many or most of the 5,400 Japanese POWs who were held in captivity on the mainland passed through Honouliuli either en route either to the continental United States or back home to Japan, Okinawa, and Korea. In June 1944, the Japanese American women’s compound at Honouliuli was needed for Japanese POWs, and so the few women left were paroled. After martial law was lifted in Hawaii on October 24, 1944, there was no longer any legal authority to hold local citizens. The primary difference between the Japanese American experience on the mainland and Hawaii is that the internment in Hawaii targeted a relatively small percentage of the ethnic Japanese population on the islands. Less than one percent of Hawaii's ethnic Japanese population was interned in Hawaii. 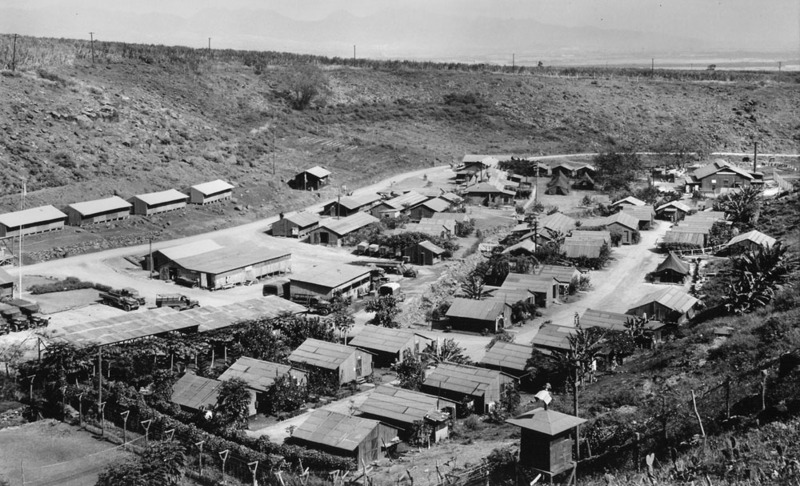 Honouliuli was the final prison camp destination for some POWs: Hawaii researcher Yong-ho Ch’oe has documented the presence of 2,700 Korean POWs at Honouliuli. 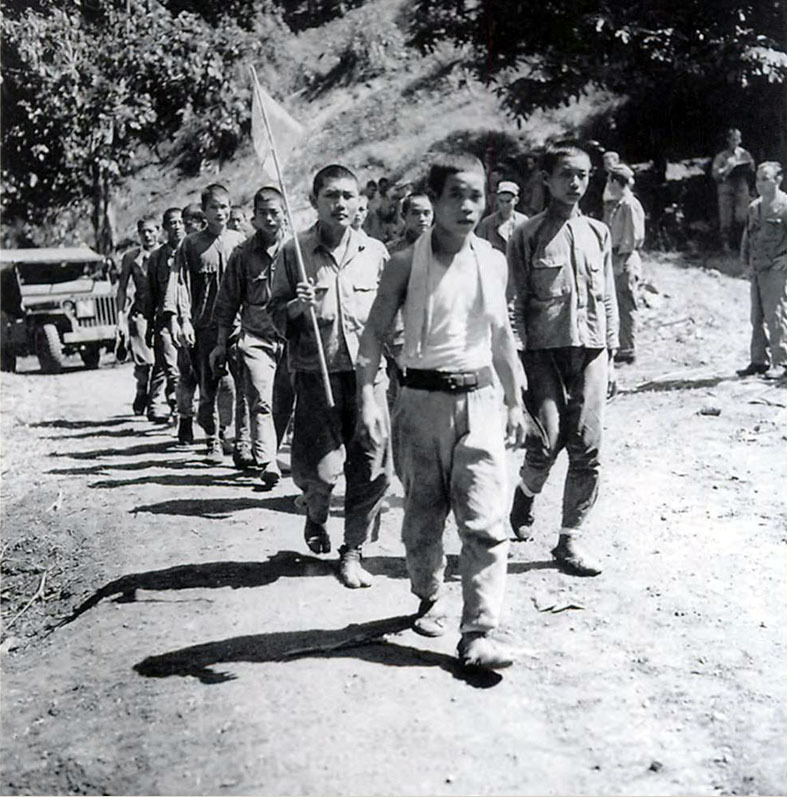 Many, perhaps most, of the Korean POWs were non-combatant laborers, unarmed and untrained but forced into the service of the Japanese Imperial Army. A Korean-language newsletter, the Free Press for Liberated Korea was written and mimeographed by three Korean soldiers of the Japanese Imperial Army interned in the camp; it continued publication until December 1945 when they were repatriated back to Korea. One of the men, Pak Sundong, became the inspiration for a famous character in one of Korea’s greatest novels, “Thus, one of the Korean POWs in the Honouliuli camp emerged as a major figure in modern Korean literature." 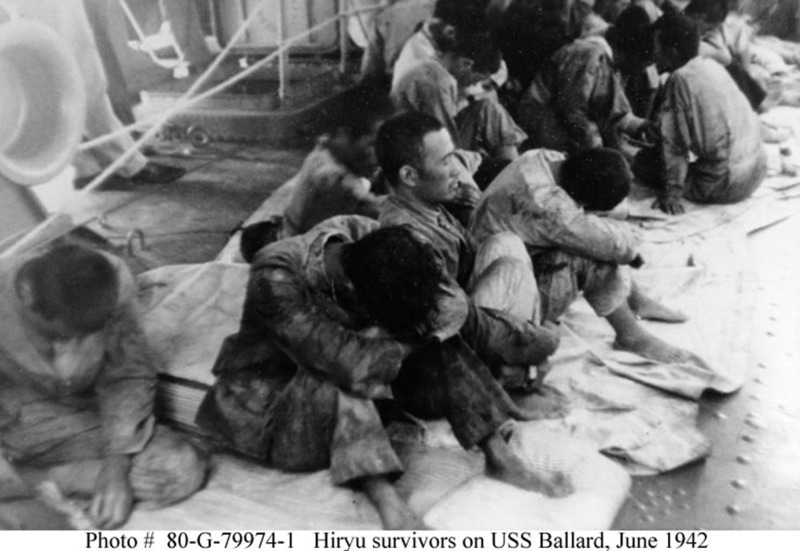 The Gilbert Islands operation exacted an extraordinarily high rate of casualties among the Korean laborers in the service of Japanese imperial ambitions—more than half on Makin and nearly nine out of ten on Tarawa. 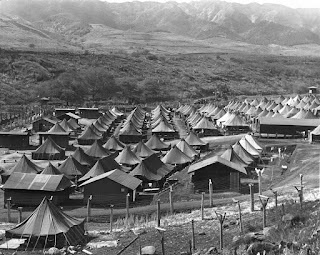 Of the Koreans initially brought to Honouliuli Camp were wounded and required medical attention, often hospitalization. 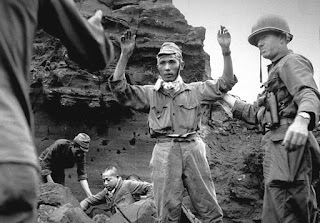 Most of their wounds had been inflicted by Japanese troops through beating, sword and knife slashing, and other abuses. Some had bullet wounds from the battle as the Americans tried to take control of the island. 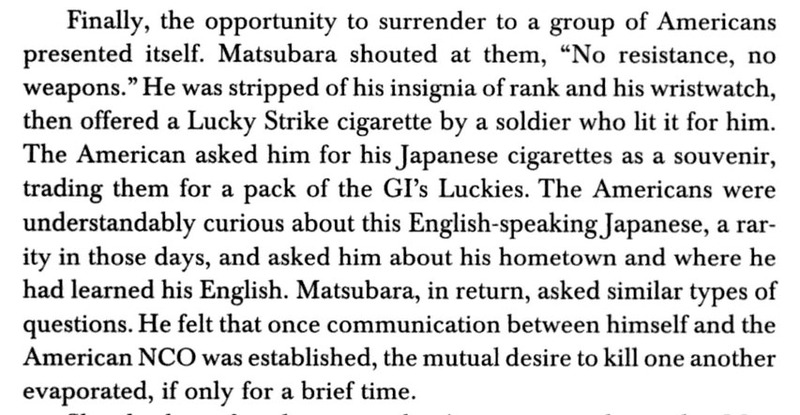 This suggests blatant abuses by the Imperial Japanese military against Korean noncombatant laborers. As is well known, Saipan was the scene of one of the most ferocious fights as the Japanese fought to the very last man rather than surrendering. In the end, almost the entire Japanese garrison on the island—at least 30,000—perished along with about 22,000 Japanese civilian deaths. It is believed that a significant number of the 22,000 civilian deaths were Korean noncombatants (precise numbers are not available). 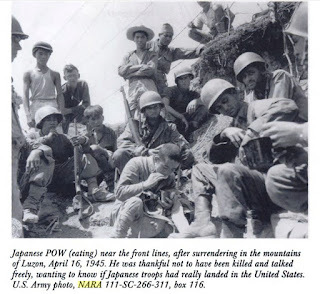 Many civilians were forcibly driven to death by the Japanese, some jumping from “Suicide Cliff” and “Banzai Cliff.” Apparently only 300 to 400 Koreans survived on Saipan and were brought to the Honouliuli camp. 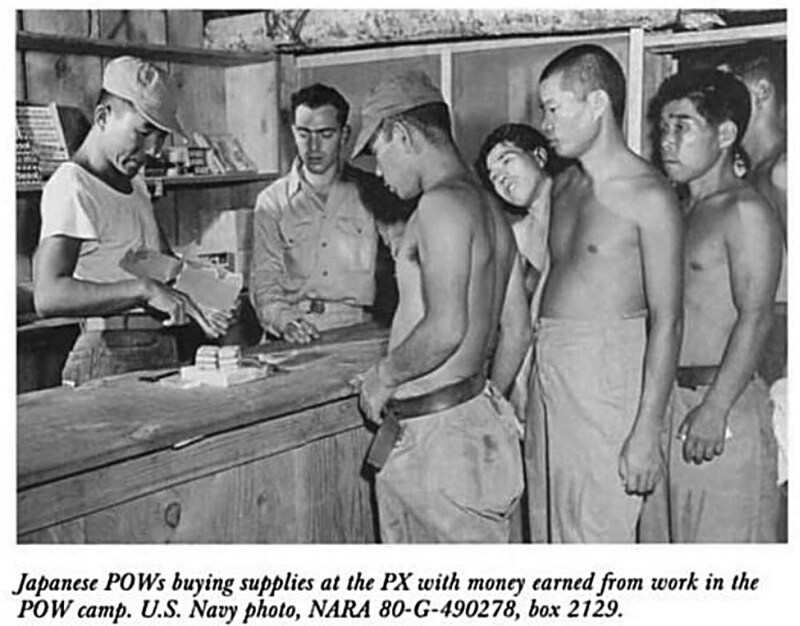 While in the camp, all Korean POWs received a monthly allowance of three dollars. If one performed extra work such as laundry, carpentry, etc., he was paid 80 cent a day more. The POWs were also allowed small lots where they could grow vegetables and flowers. Apparently, they did no work on behalf of the war effort. 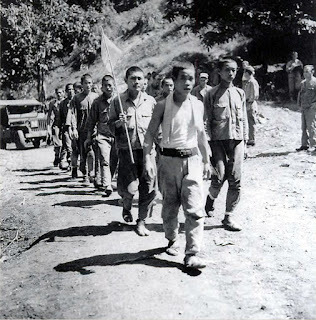 Since the prisoners were free to use or save their money as they wished, many volunteered to work, according to one former Korean POW. Run by the U.S. Army, the camp's supervisor was Captain Siegfried Spillner. 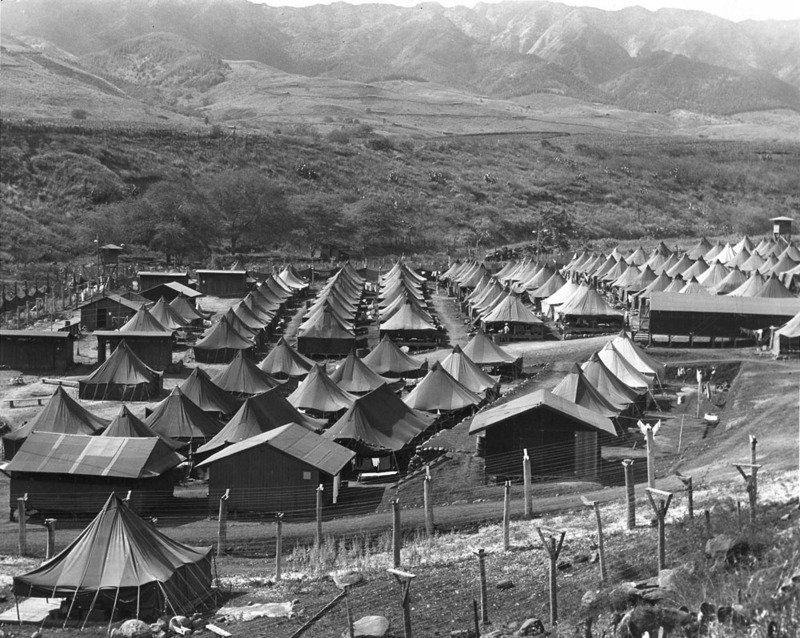 The camp was constructed on 160 acres (0.65 km2) of land near Ewa and Waipahu on the island of Oahu. About 1916 the Waiahole Water Company completed a system of tunnels, ditches, and pipes to bring water from the windward side of Oahu to the drier leeward side for sugar cane irrigation. Water from the Waiahole ditch was used by the Oahu Sugar Company until the company closed, in 1994. The aqueduct and the siphon visible in historic photographs of the Honouliuli Internment Camp were part of the Waiahole water system. The kitchen and mess hall for Japanese internees is equipped to feed up to one thousand internees. The internees live in prefabricated “sixteen-man” demountable barracks. All latrines have modern plumbing with hot and cold showers. A post exchange is available for the purchase of cigarettes, tobacco, and miscellaneous items for sale. There is also a tailor shop, an equipped dental office, and a dispensary for necessary medical treatment. A recreation field has been cleared and fenced in for the use of the internees. 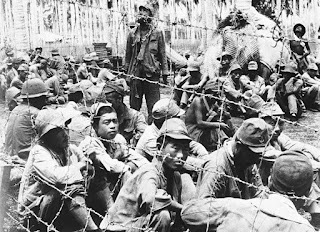 The prisoner of war section of the Camp has been divided into separate enclosures to take care of Japanese officers, enlisted men, and noncombatant Japanese prisoners of war. As a result of the Gilbert Island operation and the capture of Korean noncombatant prisoners of war, it has been found necessary to construct an additional enclosure to separate the Japanese from the Koreans. There are two large prisoner of war kitchens and mess halls, each with facilities to feed one thousand or more prisoners. In the prisoner of war section there are cold water showers and pit latrines. Prisoners of war live in pyramidal tents, usually six to eight men in a tent. All internees and prisoners of war are issued mattresses, pillows, blankets, mattress covers, and mosquito bars. ... [Internees] cultivated vegetable gardens, and grew string beans, corn, tomatoes, lettuce, carrots, beets, cabbage, radishes, eggplant, and watermelon. The internee compound was originally divided into four separate areas, the report said. West of a stream was the Japanese-American men's compound. East of the stream were the Japanese-American women and German-Americans. A mess hall served all three groups. Some photographs showed the Japanese-American men's area and the German-Americans' with the same type of barracks, and both areas with neatly planted shrubs and trees. Internee barracks were wooden buildings on post- and-pier foundations. "Boredom was oppressive, and many worked on gardening, landscaping or crafts to pass the time," the report said. east side of the stream at the far north end of the camp. Honouliuli Camp overview photographs were taken by R. H. Lodge, a former division overseer of the Oahu Sugar Company who became an official Army photographer. 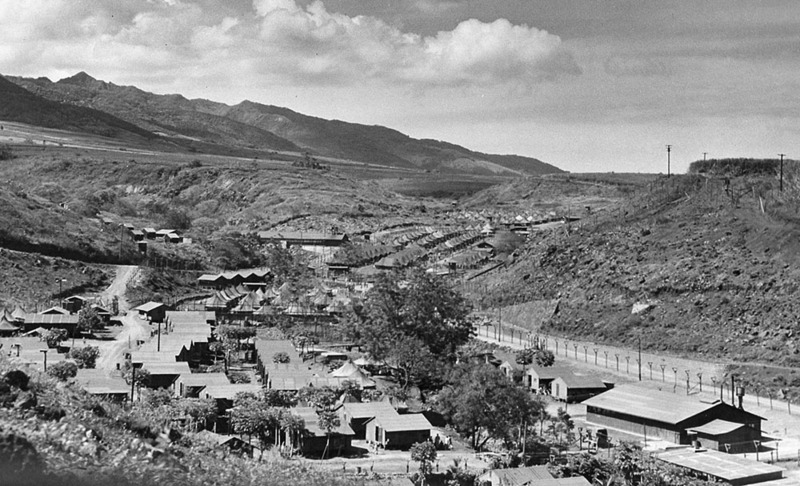 His book, Waipahu at War, (1947) documents wartime activities that occurred on the Oahu Sugar Company land, and includes five photographs of the camp in operation. The Honouliuli site is still surrounded by agricultural fields, as it was during World War II. Modern developments take up only a small portion of the gulch. The Board of Water Supply, City and County of Honolulu, has three areas developed and fenced for wells and a treatment plant. The treatment plant is located where a large building is shown in historic photographs. The south end of the original entrance road has been replaced with a paved access road entering the gulch from the ridge to the east. Large satellite dishes for KITV-TV have been installed on the slope, adjacent to the new access road. Although a 2014 Honouliuli Gulch and Associated Sites draft study prepared by the park service said the then-proposed national monument or historic site would be about 440 acres, the park service — which will manage the monument — recently refined that number to 155 acres. 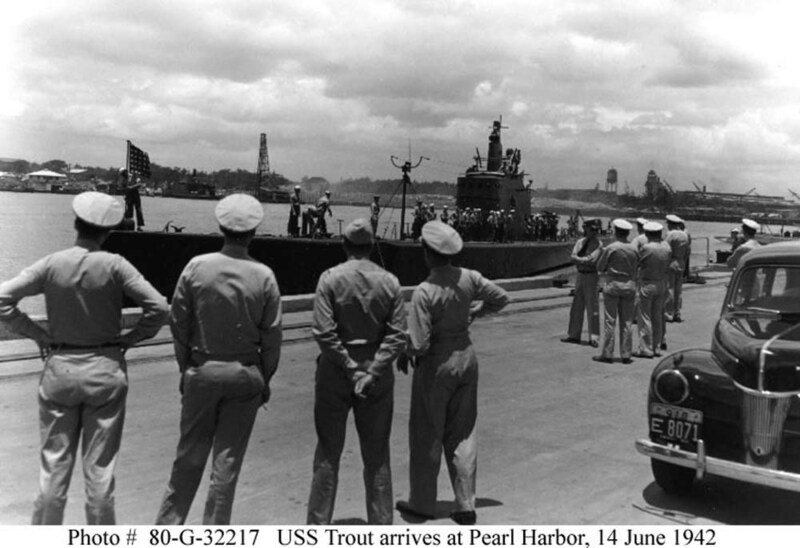 The draft study said management of Honouliuli "would be through World War II Valor in the Pacific National Monument at Pearl Harbor, given its close proximity and related history." The NPS plan now is to have the monument managed initially through the NPS Pacific West Region office in San Francisco. In this text, John J. Stephan shatters several historical illusions that have almost come to be accepted as facts, highlighting the ambiguous nature of history. On December 7th, 1941, Pearl Harbor, Hawaii was the subject of the largest attack on the United States in modern history. Some IJN Generals advised that Yamamoto also land an invasion force on the island, what if the Emperor listened? What if on December 11th, all carriers and battleships were in port was when Yamamoto struck? What if the Red Sun replaced the US flag on Hawaiian buildings? 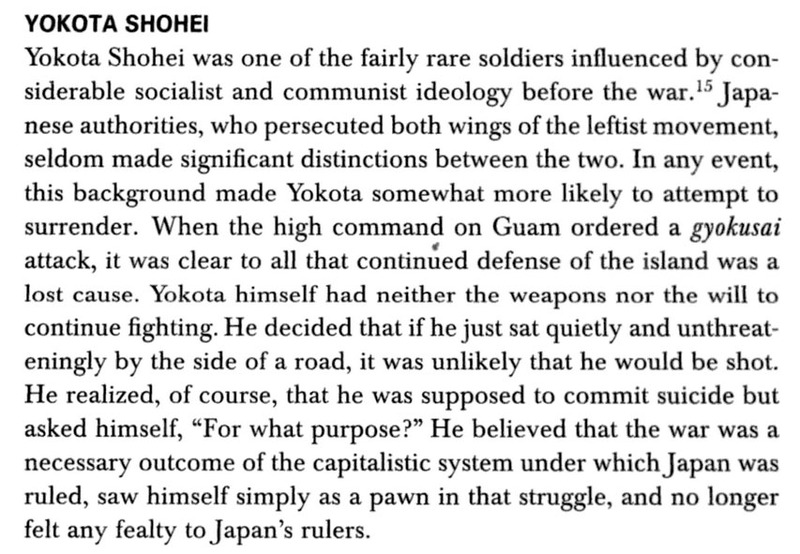 Japanese nationalists, writers and military planners had dreamed of "liberating" Hawaii for decades. If the Imperial Navy had won the Battle of Midway, Hawaii would likely have been invaded. While the USA would certainly have been able to free the island, it would have been at a great cost - likely reducing Honolulu to rubble and turning the island paradise into another Iwo Jima or Okinawa as the Japanese fought to the last man. The island of Hawaii would be taken first and used to construct airfields to attack the other islands (much as the US planned to take over part of Kyushu and build airfields to attack other parts of Japan in Operation Olympic.) Carrier task forces and subs would attack shipping, take over the Panama canal, seize California oilfields, and also attack South America. Among those attending was Admiral Nimitz, keenly interested in intelligence about Japanese navy ships and operations.